Sony has released the 1.21 firmware update to PlayTV, allowing it to record free to air HD channels. 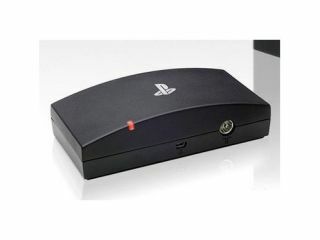 PLayTV, Sony's Freeview-recording add on for the PS3, will now be able to record and play another channel simultaneously, both in high definition. Sony has also promised better upscaling from standard definition broadcasts, meaning that if you're watching a programme in non-HD quality PlayTV will bust its little guts to polish it up before it gets to your eyeballs. As part of the update, Sony says it has tweaked the interface slightly for mobile phones too, so users can watch the content more easily on a smaller screen. The Aino is currently the only phone that supports this feature, and early reviews suggest that it doesn't quite handle remote play all that well as yet. So if you're one of the lucky ones that went out and bought a PlayTV digital tuner for the PS3, get updating now to enjoy Strictly with just that little bit more gloss.